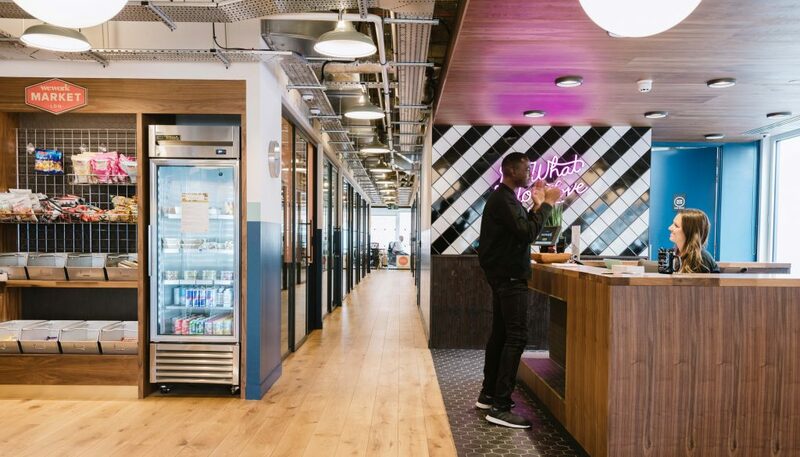 Artifact Lighting have provided lighting for a number of WeWork locations across London and Europe. The latest of these projects to have reached completion is Mansion House, based in central London. 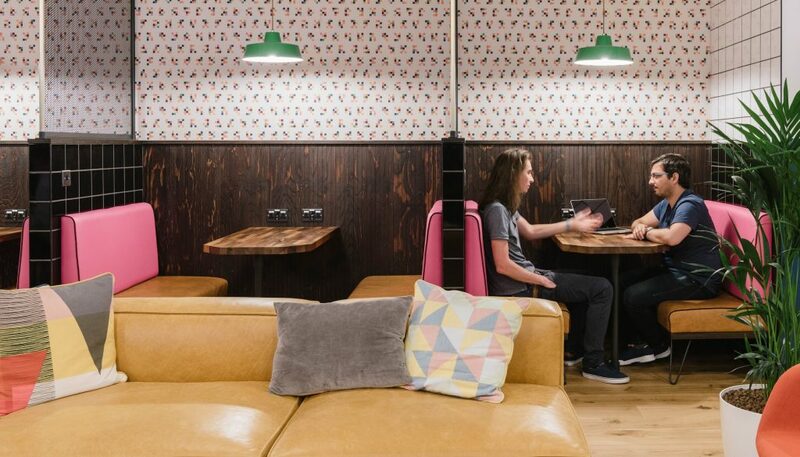 Alongside our stocked Supersized Coolicon Pendants, the offices also feature a number of unique colourful shades. Artifact Lighting designed these fixtures exclusively for this vibrant interior. Our Supersized Coolicon Pendant Lights in Polar Grey light the corridors while the custom fixtures take centre stage in the eclectic common areas. 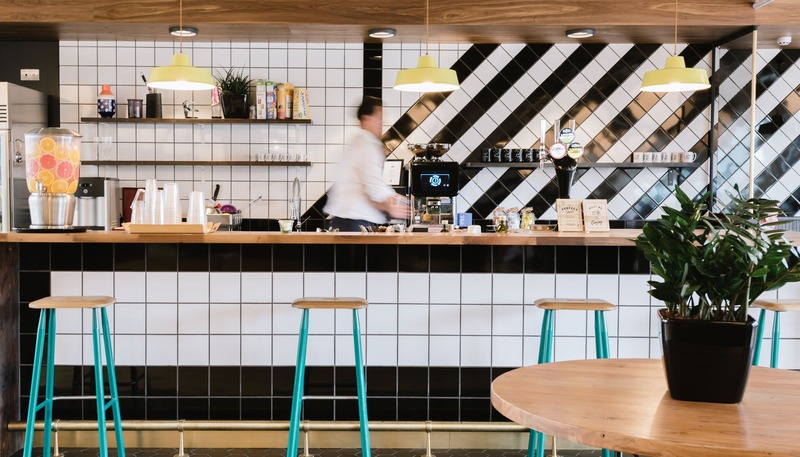 We produced the bespoke angular industrial style pendants in two sizes; the smaller pendants hang over meeting booths and above the counter in the kitchen area, while the extra large version is used throughout the open workspaces. 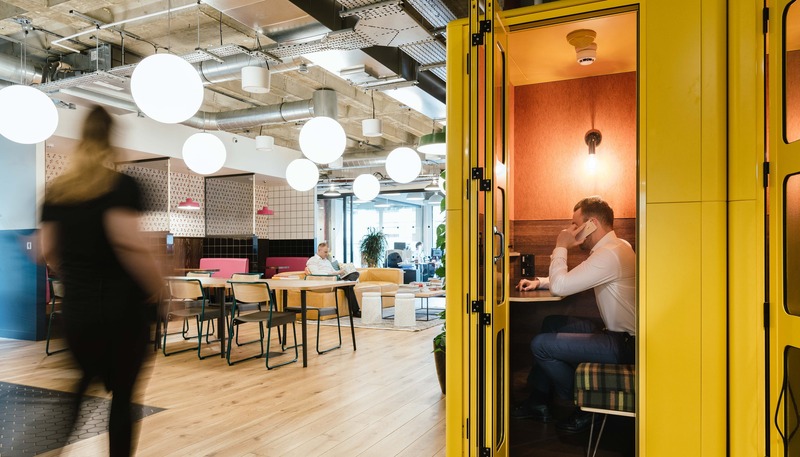 The bold colours were selected to create a lively atmosphere in the eccentric offices with our colourful fixtures clashing with the furnishings. Bright yellow pendants standout against black and white tiling behind the kitchen counter while the hot pink shades complement graphic wallpaper in the private booths. The designers chose to hang the smaller green fixtures over pink benches. Meanwhile, the larger pendants, in a slightly darker, more subtle tone, are hung beside a striking yellow phone booth. 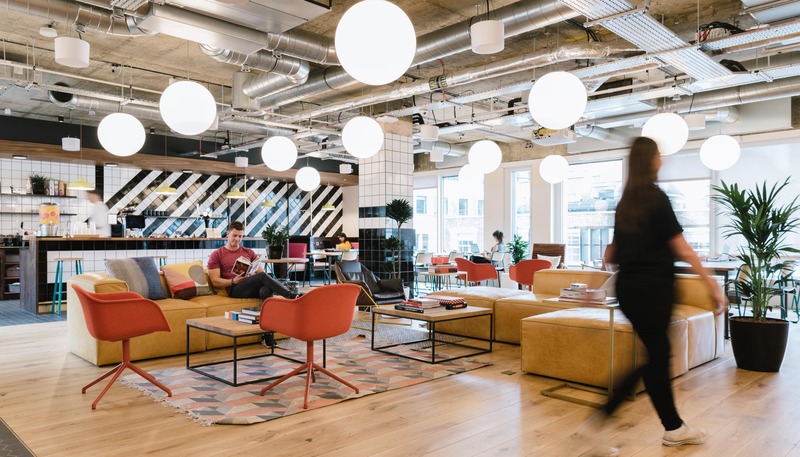 This vibrant office space is just one of many WeWork spaces in London that feature Artifact Lighting. The bespoke pendants created for this job were a successful collaboration with their designers. We achieved our aim to produce striking fixtures that would add character to the space. 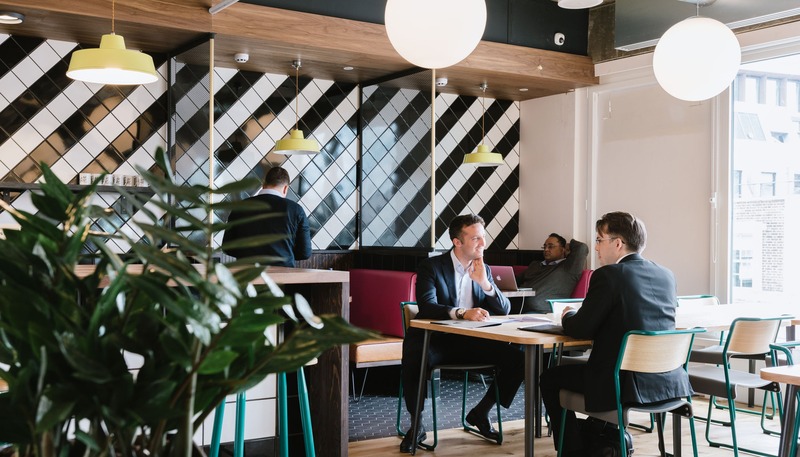 In addition to Mansion House, we have also supplied WeWork with custom pieces for a number of other locations, including the Sony Centre, Berlin.